Our client is one of the renowned mobile e-learning solutions providers in the education industry. Considering the advent of newer technologies, the gadget explosion their end users are exposed to along with the introduction of Internet of Things (IoT) technology, our client offers new, innovative apps for all wireless devices including the elite ones. Their apps portfolio spans across a range of informative reference applications to some of the most interactive educational and puzzle game apps for varying age groups. 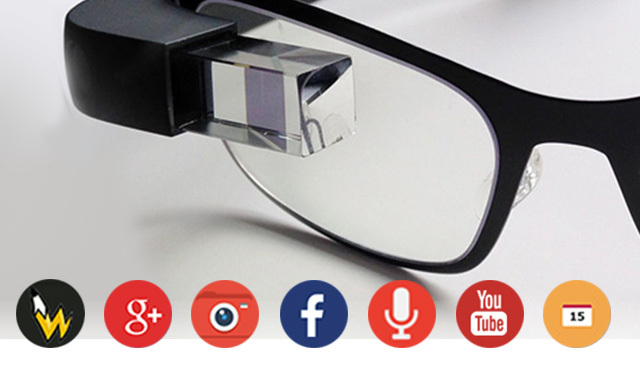 Our client wanted a dictionary application which would operate on the wearable technology from Google – Google Glass. The application would enable a user to discover a new way of using a dictionary to search for a synonym of any word she/he comes across at any given point of time. Tracking the word which the user intends to search a synonym for and presenting it with no delay between the action and intention from the user were the key requirements of the application. Also, though the display functions of this innovative device are more like a smartphone, it required a UI that is more readable and hyper- responsive as compared to any contemporary smartphone. Our client wanted a vision-based augmented reality application to be launched for Google Glass. The application would conceptually be a dictionary with a capability of responding to voice commands, too. Due focus was given on the UI development in order to give a precise look and feel of a dictionary, syncing with other screens (called as cards) on the device. 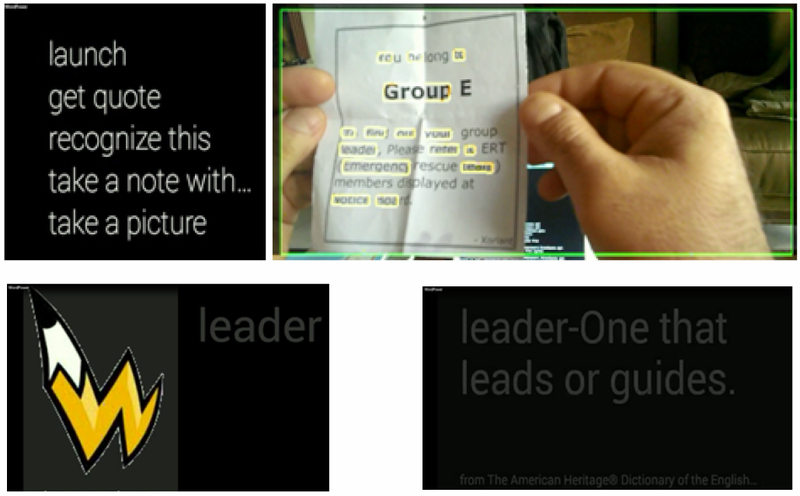 With these native device requirements, the application was required to support vision based computing, allowing the user to just randomly select the word while she/he is reading. Xoriant has a significant amount of experience in mobile applications development with comprehensive portfolio covering different segments such as utility, lifestyle, business, reference and games across multiple platforms. Although developing for a new device and technology was a challenge, this varied experience across the mobility space led Xoriant to be the right choice for the client for this engagement. Xoriant team consisted of a technical architect, a UI designer, a software developer and a QA engineer.